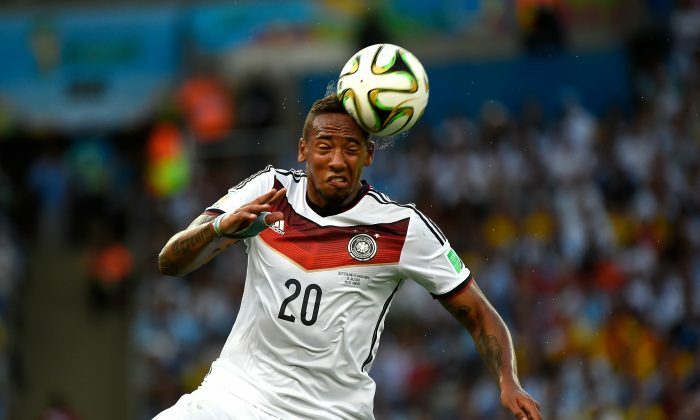 Jerome Boateng had a solid World Cup, but has not been linked with any clubs in the past few months. The 25-year-old German international put in a solid defensive shift against Argentina in the World Cup 2014 final, making crucial tackles and ensuring that Lionel Messi couldn’t do much with the ball. Even though Boateng’s performances improved over the competition, especially after he was shifted from right back to his preferred center back position, his name has not yet been thrown up in connection with any clubs this summer. Earlier on in the year, however, Boateng was linked with a move to both Manchester United and Liverpool. Both clubs have not renewed their interest in Boateng thus far. Boateng made 28 appearances for Bayern Munich in the 2013/2014 season. BERLIN (AP) — A quarter of a million German football fans reacted with unbridled joy, mixed with shock, on Sunday when Mario Goetze struck late in extra-time for Germany to win the World Cup with a 1-0 victory over Argentina.